PO.EX: A Digital Archive of Portuguese Experimental Literature is an important ongoing documentary and educational project initiated in 2005 by Rui Torres, a professor at Universidade Fernando Pessoa, in Porto, Portugal. Torres, working collectively with other Portuguese scholars and programmers, presents much of the archive online, and has also produced artifacts on CD-ROM. PO.EX participates in a larger consortium of research groups focusing on electronic and experimental literature and — via its researchers’ knowledge of the content of these various international initiatives — establishes a thorough approach to the task of building an archive dedicated to vital artistic and scholarly concerns. The intellectual care put into populating and shaping the PO.EX Digital Archive — while maintaining a high level of usability — reflects not only deep consideration and cultivated knowledge of the subject by its producer(s), but a dedication to preserving valuable cultural information and making it available to those without physical access to rare and sparsely distributed historical materials. At present, the archive houses and preserves works by Portugal’s most important experimental poets, including Fernando Aguilar, Ana Hatherly, E. M. de Melo e Castro, Silvestre Pestana, and others. Torres’s vision to locate and represent thousands of literary artifacts related to twenty authors from the 1960s, ’70s, and ’80s demonstrates how a sophisticated and dense archive can be thoroughly constructed. A particularly notable feature on the PO.EX website is how it dedicates space to presenting contemporary remakes of historical works. 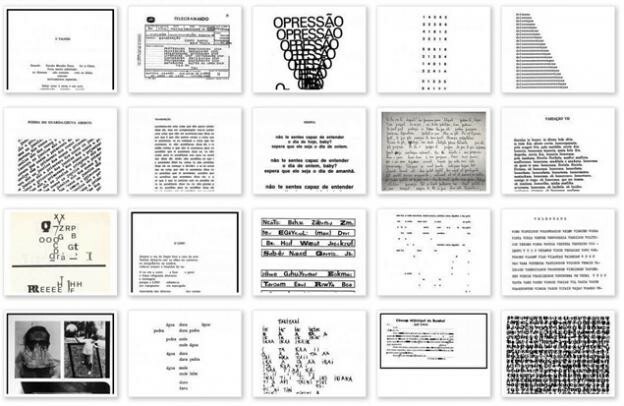 For example, one section of the archive, “Leituras da Poesia Experimental Portuguesa,” features visual poems contained in the archive vocally interpreted by contemporary practitioners. In another area, “Arquivo Digital da Literatura Experimental Portuguesa — Releituras,” print-based poems from the archive are animated. 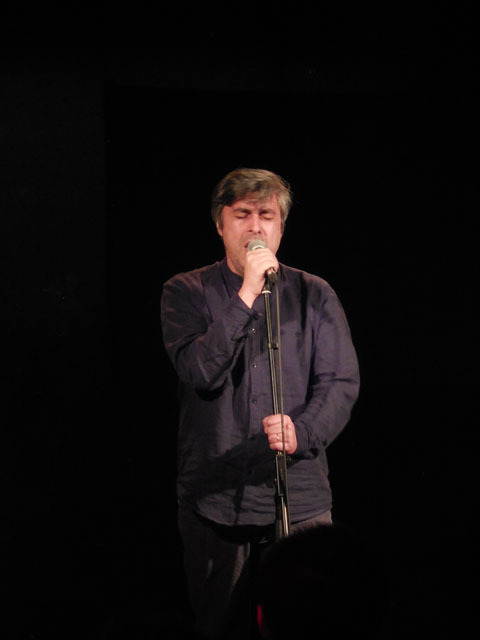 Other notable sound and video clips in the PO.EX database include Américo Rodrigues’s Performance at Serralves Museum, Porto, reading the Ideogramas of E. M. de Melo e Castro, and Jorge dos Reis’s interpretive performance “O leitor compulsivo de alfabetos,” of visual poems of Salette Tavares, at Galeria Diferença, Lisbon. In February 2013, as a consultant for PO.EX (a position previously occupied by US critic Johanna Drucker and Brazilian scholar Jorge Luiz Antonio), I spent a week in Porto learning about, evaluating, and offering critical analysis and feedback on the project. During this time, Torres organized a colloquium at Universidade Fernando Pessoa titled “Poesia Experimental. Materialidades e representaçoes digitais,” which included the participation of several significant artists and critics, including Pedro Barbosa (author of A Ciberliteratura: Criação Literária e Computador and the influential generator SINTEXT) and University of Coimbra professor Manuel Portela (author of the recently published MIT Press volume Scripting Reading Motions: The Codex and the Computer as Self-Reflexive Machines). I presented a "Seminário Transversal" (s0mething like a keynote) as the final campus session. The colloquium’s concluding event featured sound poetry performances staged at a nightclub in the city. These recordings, which I made and then produced with Torres, feature contemporary artists aranhiças & elefantes (Bruno Ministro, Liliana Vasques, and Rita Grácio, who have been performing together since 2007) and Américo Rodrigues performing at Maus Hábitos, Porto, on February 14, 2013.